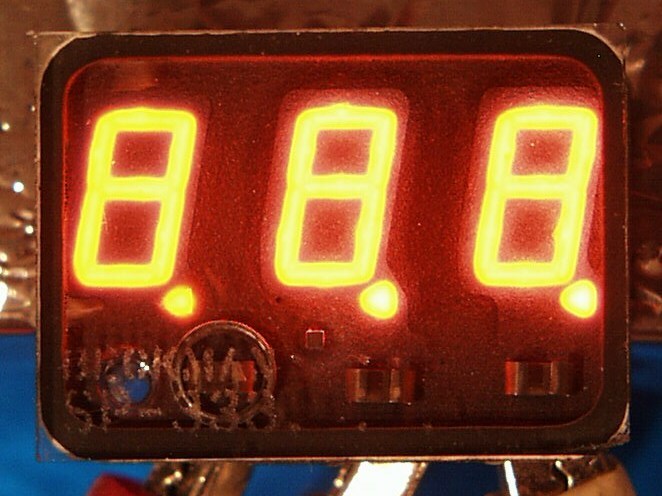 Planar neon gas discharge 'Panaplex' readout. 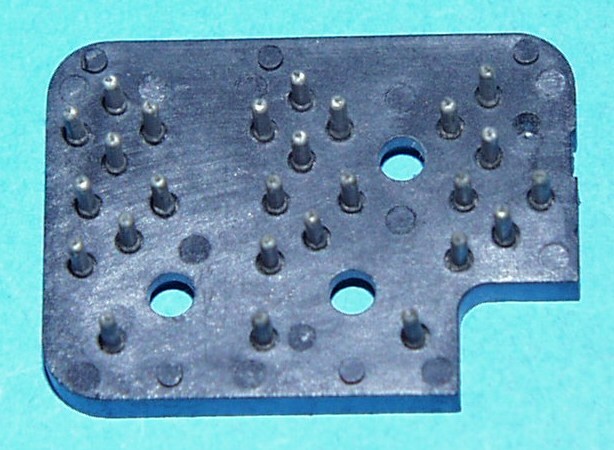 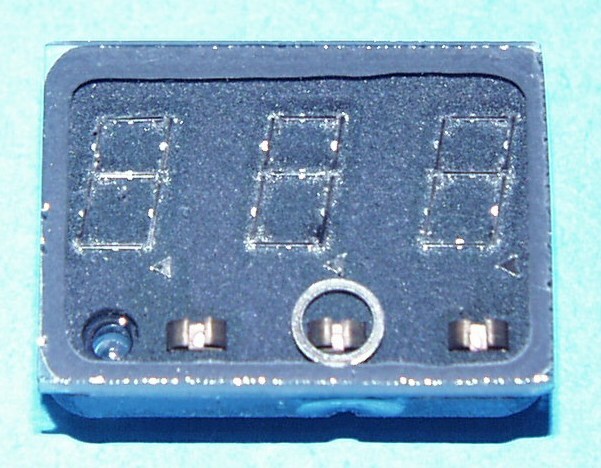 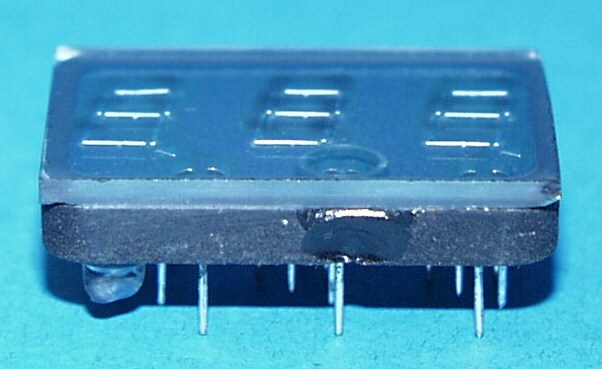 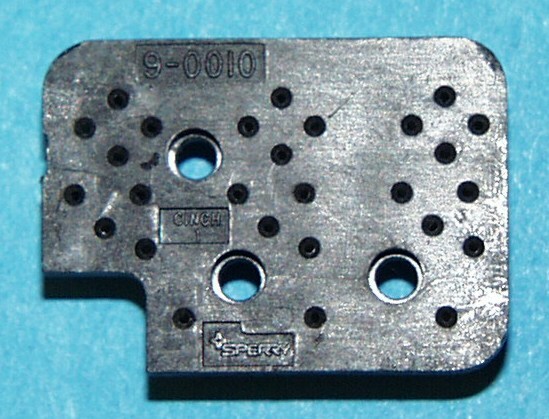 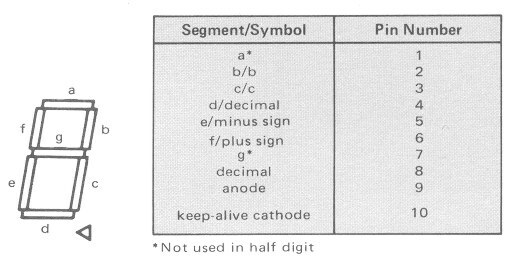 Separate anodes allow single-digit multiplexing. 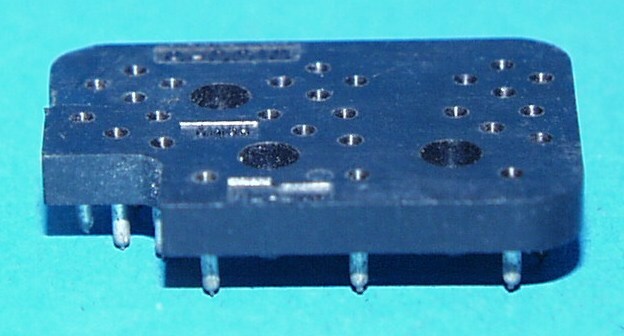 Same as SP-333, but without keep alive cathode. 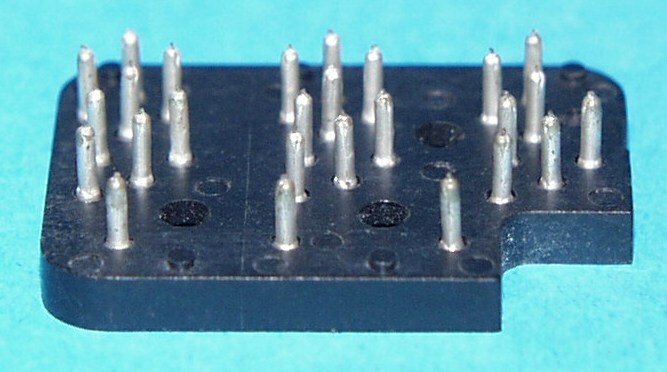 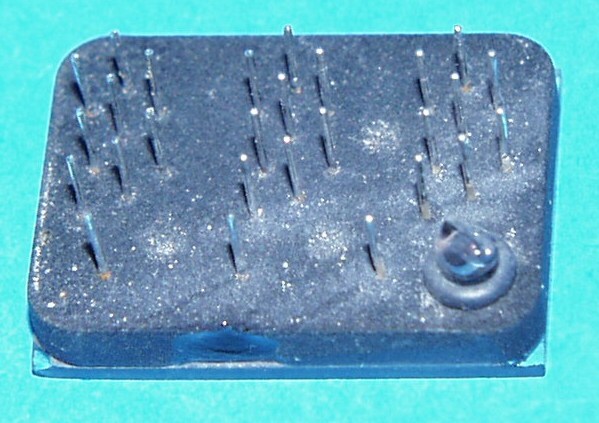 Used in Heathkit IC-2008A calculator.